Here's a super cute Easter craft you can create with your kids. Just paint the mason jars and let your kids decorate them with the sweetest bunny faces! What's great about this candy kabob party favor is how easy it is to make, and how it can work for virtually any party theme. I used a variety of candies to make it super colorful, but you can also match the candy to your party colors to tie it in. 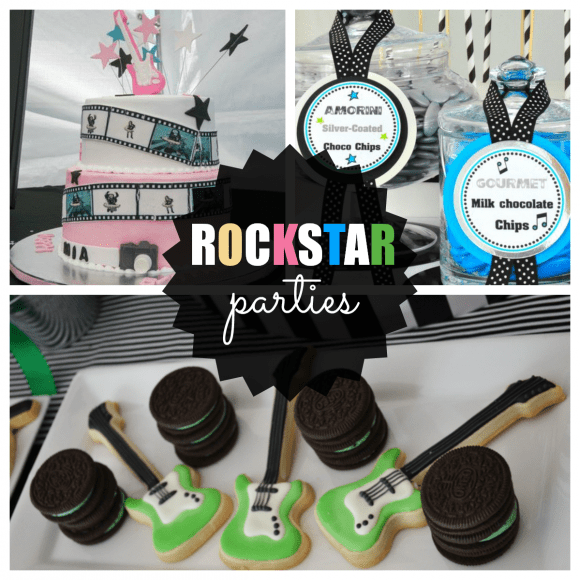 Rock Star Parties, Cowboy Party Round Up, and Napkin Crafts! 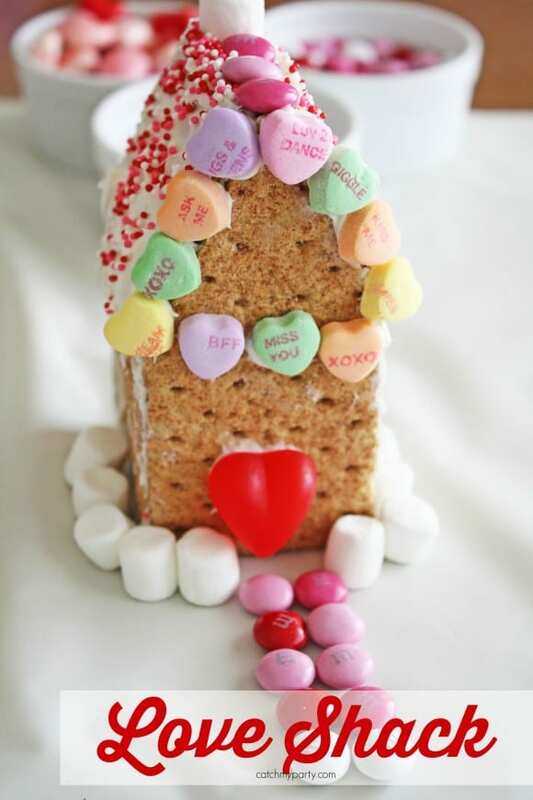 Set aside those gingerbread houses and make way for this Valentine's Day Love shack DIY! This Valentine Day version of a traditional gingerbread house is such a clever activity for your kids, especially on a snowy cold day. Today we are sharing an easy Mother's Day gift for kids to make for their moms and grandma. It's from Shauna at Ella and Annie Magazine whose creativity I just love! With Mother’s Day just around the corner, these personalized candles for mom are just perfect! They are super easy to make and you only need a few supplies. 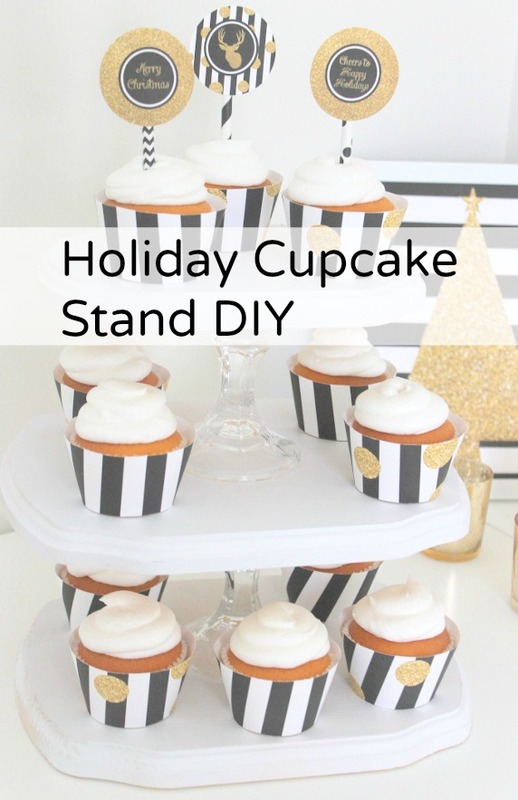 Here's a quick and easy cupcake stand DIY that's perfect for the holidays from Kristen and Missy from Sweetly Chic Events & Designs! Kristen and Missy from Sweetly Chic Events & Designs are here with an easy Santa Mason Jar DIY that is simple to do and oh so cute! With Christmas just around the corner, it's time to think about a creative gift that would be the perfect way to say Happy Holidays to teachers, neighbors, family and friends! We don't know about you, but with so many special people on our list, we wanted a gift that was simple, budget friendly, but still chic and unique!